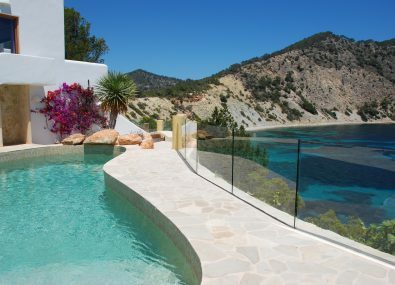 My name is Julia Charlton and I would like to briefly introduce myself and Ibiza villas direct. My relationship with Ibiza dates back to 1982 when I used to come here on family holidays. This continued with my husband Paul throughout the 90’s, and in 2001, we moved here permanently from the UK. In England, I had been working for 15 years in business travel, which included arranging events and travel in the music and entertainment industries. Client events included L’Oreal Herbal Essence launch, the Classic Car Race, London – Ibiza and MTV. 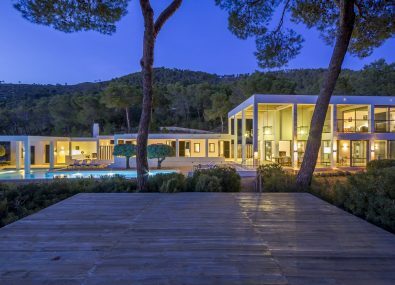 These events all required villa accommodation bookings, which lead us to start one of the first companies in 2001 offering bespoke villa services and concierge in Ibiza. We love living and working here in Ibiza with our daughter who is 5 years old and pride ourselves on offering a very personal and professional service in both villa rentals and villa sales. We are supported by Kelly who speaks 4 languages, Sylvia who is an admin, we have all been here for over 10 years, with a wealth of Ibiza knowledge and as we are all based on the island, we are here to make sure our guests have the best holiday possible. If you would like to discuss anything relating to property here in Ibiza, please call or email us – we’d be delighted to talk to you.